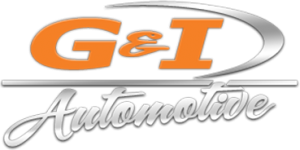 Established in 2006 in Kanata, Ontario by Ian Mockett and George Michalopoulos, G&I Automotive was started with the vision of changing how people view their mechanic. Both being Certified Technicians, customers are able to deal directly with the person who is working on their vehicle and to have peace of mind that the person they are dealing with has actual mechanical knowledge of the problem at hand. With the addition of a highly skilled Certified Technician Team, this relationship is available to even more customers. We take great strides to make sure that everyone picking up their vehicle is 100% satisfied with our quality of work, great service and competitive prices. Come in and try us out for your next appointment. Use our free shuttle service and find out why your friends, family and neighbors are switching to us for their automotive needs. Contact us today!